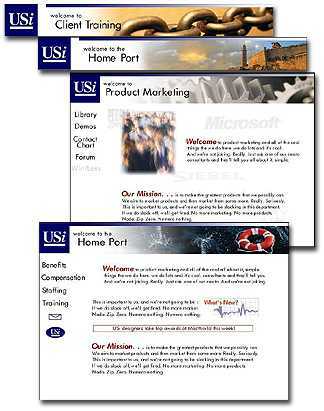 Internal design projects with USi included development of sections of the USi Intranet, including a prototype for the Web iCom site. 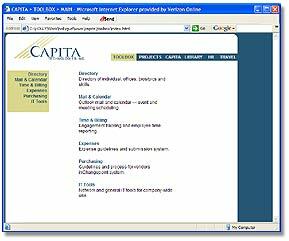 Work for Capita included information architecture and interface design for the new corporate intra- and extra-net. Intranet work was also created for the Maryland Dept. of Housing & Community Development, and featured a streamlined interface and interactive calendar programmed in Cold Fusion.